Restorative justice programs encourage defendants to be accountable for their offenses by learning about the effects of their actions, making amends to individuals and the community, and planning to make better choices in the future. 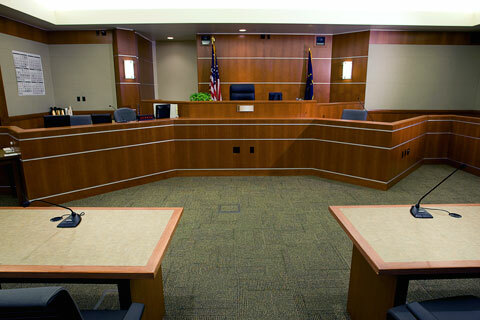 Clients referred to restorative justice as an alternative to prosecution may avoid court time and a criminal conviction altogether; those who have been convicted may participate in a restorative justice process as an alternative to punishment and to avoid costly fines and probation; and those who are convicted and sentenced to probation can participate in a restorative justice process to set things right with the people they hurt through a deeper understanding of the harm and making plans to do better in the future. Studies have shown that people who complete a restorative process are significantly less likely to re-offend, thereby increasing community safety. Prosecutors who include restorative options for people who have offended encourage them to take responsibility for their actions and make amends to those they have harmed. By including restorative options, prosecutors open the door to better outcomes for victims and decrease the number of cases adjudicated, thereby reducing crowded court schedules. Some centers (for example, St. Johnsbury) offer legal clinics where attorneys provide legal services to justice center clients free of charge.